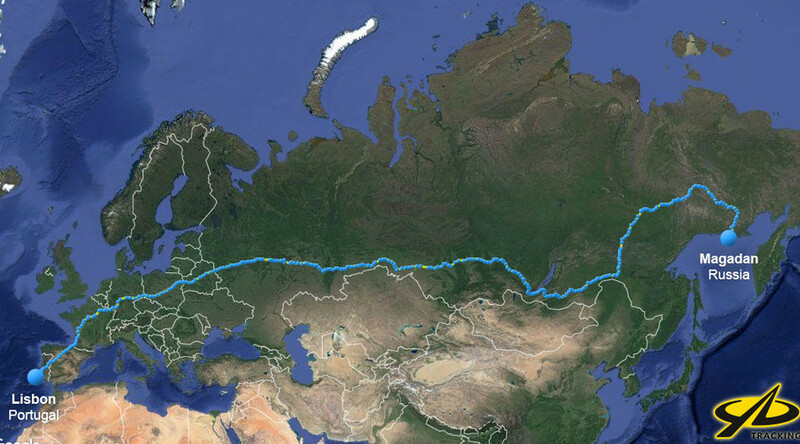 It has taken just 6 days and 10 hours for famous German racer Rainer Zietlow’s team to drive from a remote part of Russia’s Pacific region to the capital of Europe’s westernmost country. Zietlow and his co-drivers, fellow cameraman Marius Biela and Russian journalist Peter Bakanov, completed their epic 15,000-kilometer journey in 6 days, 9 hours and 38 minutes. The previous world record was 8 days and 12 hours. The mark was set in a Volkswagen Touareg 3.0 TDI V6 225 hp. The vehicle was equipped with two reserve fuel tanks. The drivers took turns at the wheel and stopped only to refuel the vehicle. The adventure began in the city of Magadan, in a remote region of Russia. The three-man team hit the road at 6am on July 1 and arrived at their final destination in downtown Lisbon at 6am on July 7, having traveled across seven countries. 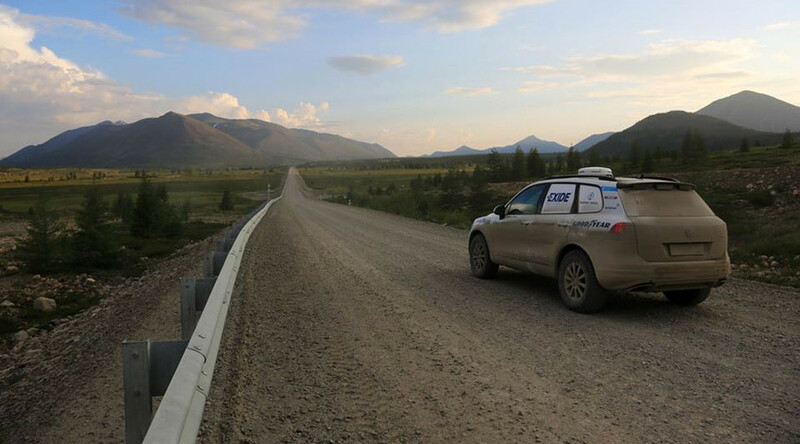 The team said the most difficult part of the road was the first 3,000 kilometers on the infamous gravel Kolyma Highway, also called the “Road of Bones” for its unpredictable weather and road conditions. It took 25 hours to traverse it. The only time the car wasn’t being driven was on a ferry over the Aldan River some 1,600 kilometers after leaving Magadan, which took only about 30 minutes. “The highway between ferry and Yakutsk was difficult and from time to time flooded. It’s a dirt road with big bumps. But we managed to do this and came to the east side of Yakutsk at 07:00am,” they wrote in a blog. In Yakutsk they changed the Touareg’s heavy-duty off-road tires to more speedy ones and continued along the Lena highway. After reaching the Amour highway, the road led them directly to the west, though Buryatia to Lake Baikal, where they encountered their first traffic jams. On the morning of July 5, they crossed the Urals Mountains and entered Europe (the continent). Surprisingly, this part of the road all the way to Moscow was “much worse” due to a lot of traffic and road reconstruction. But passing Moscow and getting to the EU through Belarus appeared a much easier task. The team entered Poland on the early morning of July 6 and 24 hours later they celebrated a World Record Tour in the capital of Portugal, crossing the European Union from east to west in a matter of a day. Rainer Zietlow is famous for taking part in challenging expeditions crossing both Americas from Tierra del Fuego to Alaska, from Melbourne in Australia to Russia’s Saint Petersburg, from South Africa’s Cape Agulhas to Nordcape in Norway. In 2013, Zietlow participated in the Moscow-Yakutsk-Anadyr-Petropavlovsk-Kamchatsky rally, crossing Russia to its most distant city in the Pacific region.